What is Body Mind Spirit balance? It’s impossible to separate the mind from the body, or the body from the spirit. Their interconnectivity is the basis for our life’s meaning and existence. It is because of this connection, that we are able to heal ourselves in the beginning. The practice of chiropractic care focuses on the relationship between your spine and your nervous system. The spine is the structure, and the nervous system is the function. Chiropractic believes these two systems work in unison to keep and then restore your body’s health. The word “chiropractic” is taken from Greek, and means “done by hand”. This is exactly how chiropractic care works. The chiropractor uses his or her hands to manipulate your body, and help it to heal itself. It is the branch of the health sciences which focuses on the neuro-musculoskeletal system. That’s a very big word to simply say how your spine and nervous system work together. The spine is the highway for your central nervous system; if the highway is blocked or traffic is jammed, they are usually able healers. Modern alternative medicine and holistic healers believe in the power of the energy that flows through our bodies; this energy radiates from our mind as well. It is believed to be the chief from of transportation for our body’s nervous system to carry out communication. Acupuncture is one of the key components of Traditional Chinese Medicine (TCM), and operates on the premise that the body is divided into two opposing and inseparable forces, the yin and yang. Yin represents the cold, slow, or passive principle, and yang represents the hot, excited or active principle. According to TCM health is achieved by maintaining a balance state of the yin and yang. This is done through the vital pathways or meridians that allow for the flow of qi, or vital energy. The vital energy flow occurs along pathways known as meridians. These meridians connect over 2,000 acupuncture points along the body. Finally, in the last few years, traditional western medicine has come to accept the role that your mind, body and spirit have in keeping each other healthy, during daily processes, or recovering from surgery. Almost every form of healing accepts and incorporates the fact that our bodies have a “vital energy force” that flows through, from top to bottom. This “life force” as some refer to the energy, helps to keep us connected, mind, body, and spirit. To come to the understanding, as modern medicine finally has, that there are certain aspects of our health that we cannot place neatly in a physical process, has been a difficult revelation for believers of the purely scientific approaches to healing and medicine. Our spiritual input is a determining factor when establishing our wellness level. We all need the benefit of spiritual reflection, as a way of cleansing ourselves of the toxins of our daily life. Spirituality is a way of assuring ourselves of a renewing, and rebirth of ourselves as caring humans. Wellness encompasses our state of being, mind, and health. It is a condition of the whole. Wellness is a condition of the mind, body, and spirit. Meditation is preventive maintenance for the mind. Meditation gives us the opportunity to reflect on our inner self. To listen to that small inner voice that is supposed to help guide and direct our mental processes, but in modern day existence, is often drowned out due to excessive noise pollution. Our spirituality and meditation practices are the tools we have available to keep our mind as well as we keep our bodies. The mind is a complicated and versatile machine, but it can become overwhelmed and unable to function correctly, if we don’t take the time to keep it well and cared for. When we don’t give adequate time for these processes, or we simply don’t get enough rest, our mind cannot maintain its state of wellness, just like our bodies aren’t capable of wellness if there is no chance to rest and replenish. Modern alternative medicine and holistic healers believe in the power of the energy that flows through our bodies; this energy radiates from our mind as well. It is believed to be the chief from of transportation for our body nervous system to carry out communication. Breathing techniques, music, aromas, and candle therapy are all ways we utilize the opportunities to reflect on our day, allow our mind to rest and replenish itself for further use. We must remember over the course of our daily routine, to make time to maintain mental wellness, as we strive to maintain physical wellness. The nice thing about the whole process is that, as we go about accomplishing these tasks, quite often the opportunities for preservation and care are interchangeable. We can help to quite our mind as we take our twenty minute walk. Or we have the opportunity to build muscle strength as we meditate. Our spirituality and meditation practices are the tools we have available to keep our mind as fit as we keep our bodies. The mind is a complicated and versatile machine, but it can become overwhelmed and unable to function correctly, if we don’t take the time to keep it cared for. When we don’t give adequate time for these processes, or we simply don’t get enough rest, our mind cannot maintain its state of fitness, just like our bodies aren’t capable of fitness if there is no chance to rest and replenish. Breathing techniques, music, aromas, and candle therapy are all ways we utilize the opportunities to reflect on our day, allow our mind to rest and replenish itself for further use. But are these methods keeping us mentally fit? Yes, but they don’t work alone. The absorption of new information, new opportunities to learn, and creative play provide our mind the stimulus it needs in order to stay fit and functioning. The onset of many age-related mental disorders occurs because we haven’t taken the time to keep our mind youthful, and involved in new learning. Learning new things forces our mind to form new neural pathways. We need those neural pathways for the transmission of information from the body to the mind, or with our ability to form new memories. If we don’t exercise the mind, we lose the fitness. We must remember over the course of our daily routine, to make time to maintain mental fitness, as we strive to maintain physical fitness. The nice thing about the whole process is that, as we go about accomplishing these tasks, quite often the opportunities for preservation and care are interchangeable. We can help to quite our mind as we take our twenty minute walk. Or we have the opportunity to build muscle strength as we meditate. This is a double sided coin. Does health affect intelligence? Yes. Does intelligence affect health? Yes. This is one of those wonderful situations where the cause and effect works both ways. What happens in one area, will generally affect the other. It is a known and proven fact, that the eating and health habits we use as children, directly affects our level of development. This includes the brain. Protein, one of the most important basic life building blocks, works directly in the brain’s development. No protein, no proper development. Well, it doesn’t take very much intuition here, to notice if the brain doesn’t develop to optimal operation levels, you will not have a health conscious individual. Generally, you do not have individuals develop to become productive, prosperous citizens, and certainly not healthy, productive, prosperous citizens. Past the consideration of intelligence development, our level of education and intelligence plays a tremendous role in our ability to educate ourselves about the health options we should exercise. With generations prior to the 20th century, physical energy expenditures used up whatever nutritional resources you had provided earlier. Physical work and a real lack of nutritional supplements kept the body in constant need of nourishment. That is a time past. Today, with the advent of the computer, physical activity is no longer a part of the work equation. We no longer lack for vitamins and minerals, thanks to the boom in the vitamin market. Today, we must determine how much nourishment we need, how much physical exercise we need, and how best to accomplish those ends. Calorie needs, nutritional needs, physical needs, and education about those needs now is information we should all understand, at least as it applies to our individual self. Our level of income directly affects our health. Did you know that? How much money you make helps to determine how healthy you will be. Doesn’t really make sense, if you don’t’ look at the broader picture. In the big picture, however, here is the view: you are educated, have a degree, and are exposed to tons of information during your college years. You are exposed to health classes, athletes, and all sorts of professional people who already understand the importance of health in your life. You graduate college, your income levels are quite nice, and you have the opportunity to purchase magazines, health and fitness of course. Can you see how your education and intelligence levels affect your health now? This is a generalization that has proven itself time and again. All you have to do is observe your developed countries versus the third world, underdeveloped countries. Standard of living and health are directly related. If the evidence presented above is not enough to satisfy your curiosity concerning the role intelligence plays in our health, take the time to visit the US Census. This information is available through the internet. There you will find all kinds of statistics, from income averages in areas of the United States, to education levels in those same places. Also available is information related to the household. Check for yourself. You can see a direct relationship in many areas of the country between income levels and health statistics for that area. How the Brain Affects Our Health Almost everyone is aware today, of the importance of protein in our diet. Protein directly affects our muscles, tissues and organs. It also directly effects the development of these organs, our brain included. What happens if we don’t get the necessary protein or any of the other many nutrients our body, not just our brain, needs to function correctly? It is through the use of our mind (or brain, whichever term you prefer) that we are able to absorb the necessary facts and figures and process it into useable pieces of information. How do we determine that we are providing the essential nutritional needs? That knowledge comes by educating ourselves about what our individual needs are, the needs of our family, and then taking that knowledge and applying it to the foods we buy, that we prepare, and that our families consume. Once again, through the use of our minds, we are able to take the guidance provided by the USDA, develop a journal and establish what our daily requirements are, so that take care of our necessary nutritional needs. According to the guides published by the USDA, calorie needs vary from one age group to another, one gender to another. So how do you determine what your individual needs are? You can setup a journal for recording your daily caloric intake for about a month. Make a note of your weight each day. If you don’t gain any weight during the course of that month, you’re eating your recommended calorie level in order to maintain your weight. Now, take that calorie information, check with a nutritionist about the recommended daily allowances of vitamins and minerals that you need. Take both pieces of information, calorie intake and nutritional requirements, use the food pyramid and comprise a combination of foods that will help you achieve these recommended daily intakes, and still be enjoyable food. You now have an individualized healthy eating plan. Over the course of absorbing the instructions for a healthy, well-balanced eating plan, we have used our mind through the whole process. Our ability to think and reason, our level of education, and the exposure we receive to outside input on a daily basis affects our entire environment, but especially our health. We make choices based on the information we have previously absorbed. Our food, exercise, and recreation choices are no exception. It just so happens that these choices can immediately affect our health. Maybe now you have a clearer picture of the opportunities we have for our brain to affect our health. It is more than just conscious decisions. It is a result of brain development through childhood, adolescence, and adulthood. It is a result information we have previously absorbed, and input we will continue to receive. Wellness of the body occurs when all the body processes, physical and mental are functioning as the peak levels. What does it take to achieve a complete body wellness? It requires more than simply taking a trip to the gym, or a walk in the park. Many factors come into play when we consider our body’s wellness. The daily intake of food, vitamins, and water are absolute necessities, and most often the items thought about. What about the conditioning of our body to deal with life each day? Does our physical exercise have anything to do with the wellness of our body? Absolutely. For one condition without regard to the other, is not a complete whole. The body includes all of our physical processes, our mind, and our physical being as a whole. When we give thought to the wellness of the body, most often we contemplate our physical condition as it applies to our cardiovascular needs and our weight. But our bodies are much more than heart and a nice figure. What about all of our other organs? Are they well? How do we maintain a wellness of the entirety? Daily physical exercise that benefits the body as a whole, taking time to rest and restore what has been depleted from our body over the course of the day, and making sure that we adequately supply our entire body with the nutrition necessary for healthy function. If we use our resources wisely and educate our selves about the things our body needs to maintain wellness, over the course of our life, it isn’t a difficult thing to attain. But you cannot abuse your body for years, and then hope for immediate results in trying to attain an overall wellness. It didn’t become unwell overnight, and it won’t become well again that quickly. Proper attention to the physical needs of each part of your body results in the wellness of the whole. Every part of your physical body exists to work in unison with another part of the body. Two hands are necessary for optimal functioning of the limbs, two feet, two eyes, etc. The physical body is designed to work better than any machine invented to date. It is more complex and powerful than any piece of equipment we have on the market. It takes more abuse than believable, and continues to operate, even without the daily requirements being met, for several days. It is a fascinating machine, as machines go. But it is an even more fascinating temple, when we choose to care for our bodies as the temples they really are. They house our mind and spirit, and when the body is well, it does a tremendous job of providing for our needs. Bodily fitness is being able to deal with and handle the daily stresses of life, good physical and mental health, especially when maintained by proper diet, exercise, and habits. Nutrition refers to the nurturing of our body, in our ability to keep it healthy and functioning as it is supposed to do. Our ability to provide the body with all the necessary food, vitamins, and minerals so that we continue to thrive in our daily life processes is a part of overall fitness. Fitness refers to the condition of good physical, mental, and spiritual health. Fitness of the body occurs when all the body processes, physical and mental are functioning as the peak levels. What does it take to achieve complete body fitness? It requires more than simply taking a trip to the gym, or a walk in the park. Many factors come into play when we consider our body’s fitness. The daily intake of food, vitamins, and water are absolute necessities, and most often the items thought about. What about the conditioning of our body to deal with life each day? Does our physical exercise have anything to do with the fitness of our body? Absolutely. For one condition without regard to the other, is not a complete whole. The body includes all of our physical processes, our mind, and our physical being as a whole. When we give thought to the fitness of the body, most often we contemplate our physical condition as it applies to our cardiovascular needs and our weight. But our bodies are much more than heart and a nice figure. What about all of our other organs? Are they fit? How do we maintain a fitness of the entirety? Daily physical exercise that benefits the body as a whole, taking time to rest and restore what has been depleted from our body over the course of the day, and making sure that we adequately supply our entire body with the nutrition necessary for healthy function. If we use our resources wisely and educate our selves about the things our body needs to maintain fitness, over the course of our life, it isn’t a difficult thing to attain. But you cannot abuse your body for years, and then hope for immediate results in trying to attain overall fitness. It didn’t become unfit overnight, and it won’t become fit again that quickly. Proper attention to the physical needs of each part of your body results in the fitness of the whole. Every part of your physical body exists to work in unison with another part of the body. Two hands are necessary for optimal functioning of the limbs, two feet, two eyes, etc. The physical body is designed to work better than any machine invented to date. It is more complex and powerful than any piece of equipment we have on the market. It takes more abuse than believable, and continues to operate, even without the daily requirements being met, for several days. It is a fascinating machine, as machines go. But it is an even more fascinating subject, when we choose to care for our bodies as the temples they really are. They house our mind and spirit, and when the body is fit, it does its job tremendously well. Wellness of the spirit refers to our ability to cope with the everyday stresses and strains of living our life. Quite often, the ability to cope overwhelms us, and if we don’t give sufficient time to the wellness of the spirit, or spirit, we lose our ability to function properly. Today, the evidence of that inability exists in the form of anxiety attacks. The attacks can range from extremely mild to unbelievably severe. What is happening to us when we experience anxiety attacks? Our system goes into a form of shock. I refer to as a sort of “spirit shock”; nothing is physically wrong that should cause us to become ill, and nothing is wrong mentally that should cause us to experience the panic; it is within our spirit that we have lost control. This loss of control can be momentary, or it can last for years. The most debilitating part of the process is the inability to function even in the most usual of routines. Short trips to the grocery store become impossible, because of the panic they create within the person. It is a frightening event that only serves to add to the panic. The person experiencing these attacks feels as if they have lost control over their ability to function. They cannot meet deadlines; they aren’t able to provide for their family, there are a host of reasons that cause us to come to the place of loss of control. The hectic pace of life in this 21st century only serves to enhance the need to give our spirit, our spirit, our inner voice a chance to be heard. We drown out any opportunity to connect with ourselves during the course of our day, because we schedule everything, multi-task everything, and leave no down time for a conversation with our self. It’s impossible to listen to your inner needs, if you’re talking on the phone, listening to the radio, or interacting with your children. At the same time this era has taken from us any chance meeting of our spiritual needs, it has also provided more opportunity for planned downtime. We have audio, video, and even massage clinics that offer us the chance to slow down and connect with our inner self. Never before has there been so much available to help us help our selves. What is the hold up? The biggest detriment is our lack of discipline and devotion to our own health and well-being. What we tend to forget during this age of super-human feats, is that the only way to sustain the super-human person, is to keep that person, all aspects of that person, well. Wellness comes through concentrated effort, discipline, and devotion, to our body, mind and spirit. The wellness of our spirit or spirit affects all other parts of our person, as evidenced in the presence of panic attacks, mental breakdowns, and the inability to cope. The need to attend to our wellness needs should be added to our daily “to do” list, so that we schedule in enough time for our selves! To grow spiritually in a world defined by power, money, and influence is a Herculean task. Modern conveniences such as electronic equipments, gadgets, and tools as well as entertainment through television, magazines, and the web have predisposed us to confine our attention mostly to physical needs and wants. As a result, our concepts of self-worth and self-meaning are muddled. How can we strike a balance between the material and spiritual aspects of our lives? Introspection goes beyond recalling the things that happened in a day, week, or month. You need to look closely and reflect on your thoughts, feelings, beliefs, and motivations. Periodically examining your experiences, the decisions you make, the relationships you have, and the things you engage in provide useful insights on your life goals, on the good traits you must sustain and the bad traits you have to discard. Moreover, it gives you clues on how to act, react, and conduct yourself in the midst of any situation. Like any skill, introspection can be learned; all it takes is the courage and willingness to seek the truths that lie within you. Here are some pointers when you introspect: be objective, be forgiving of yourself, and focus on your areas for improvement. Religion and science have differing views on matters of the human spirit. Religion views people as spiritual beings temporarily living on Earth, while science views the spirit as just one dimension of an individual. Mastery of the self is a recurring theme in both Christian (Western) and Islamic (Eastern) teachings. The needs of the body are recognized but placed under the needs of the spirit. Beliefs, values, morality, rules, experiences, and good works provide the blueprint to ensure the growth of the spiritual being. In Psychology, realizing one’s full potential is to self-actualize. Maslow identified several human needs: physiological, security, belongingness, esteem, cognitive, aesthetic, self-actualization, and self-transcendence. James earlier categorized these needs into three: material, emotional, and spiritual. When you have satisfied the basic physiological and emotional needs, spiritual or existential needs come next. Achieving each need leads to the total development of the individual. Perhaps the difference between these two religions and psychology is the end of self-development: Christianity and Islam see that self-development is a means toward serving God, while psychology view that self-development is an end by itself. Religions that believe in the existence of God such as Christianism, Judaism, and Islam suppose that the purpose of the human life is to serve the Creator of all things. Several theories in psychology propose that we ultimately give meaning to our lives. Whether we believe that life’s meaning is pre-determined or self-directed, to grow in spirit is to realize that we do not merely exist. We do not know the meaning of our lives at birth; but we gain knowledge and wisdom from our interactions with people and from our actions and reactions to the situations we are in. As we discover this meaning, there are certain beliefs and values that we reject and affirm. Our lives have purpose. This purpose puts all our physical, emotional, and intellectual potentials into use; sustains us during trying times; and gives us something to look forward to---a goal to achieve, a destination to reach. A person without purpose or meaning is like a drifting ship at sea. Religions stress the concept of our relatedness to all creation, live and inanimate. Thus we call other people “brothers and sisters” even if there are no direct blood relations. Moreover, deity-centered religions such as Christianity and Islam speak of the relationship between humans and a higher being. On the other hand, science expounds on our link to other living things through the evolution theory. This relatedness is clearly seen in the concept of ecology, the interaction between living and non-living things. In psychology, connectedness is a characteristic of self-transcendence, the highest human need according to Maslow. Breathing techniques, music, aromas, and candle therapy are all ways we utilize the opportunities to reflect on our day, allow our mind to rest and replenish itself for further use. The great benefit in meditation, however, is the mind’s ability to transform itself into a vehicle for higher awareness. Meditation is a way for us to become aware of the fact that there is more to our being than just our physical activity. We have so much more potential locked away in our mind, resources that we never tap into until we have the chance to quiet the mind, quiet our surroundings and open the door to the possibilities we don’t examine on a day to day basis. Our spirit is the real benefactor in these moments of quiet reflection and meditation. Everyday, time after time, our spirit would soar if given the opportunity. But quite often, the opportunity is stolen thanks to the ever pressing issues of job responsibilities, children, and household responsibilities. Our spirit is generally all used up by the end of the day. In our meditative state, thoughts that never have the opportunity to be heard during the bustle of the day are afforded the opportunity to come forward and be heard. Every step that we take is a step in some direction for our life. The opportunity to set our own destiny, develop our manifestation of what we believe our life should be, is the opportunity meditation provides. Every action we’ve ever taken started as a thought. The thought was then brought into reality by our action on that thought. So are we able to produce new thoughts and new possibilities, in this time of quiet reflection. It is in these small moments of creativity and higher conscious operation that our mind heals itself from the stresses of the everyday activities, and maintains a real level of healthy operation. Our spirit has the opportunity to renew. Revive. Like the dying patient that receives the administration of CPR in the final hour, our spirit receives the moments of solitude that allow it to regroup, regain that wonderful faith in ourselves and mankind. Our mind is like our body, we don’t have to look unhealthy to be unhealthy, and sooner or later, the illnesses show, unless we’re given the opportunity for rebirth of our basic beliefs. This is how we provide the nourishment needed for our spirit to remain healthy. Some people choose to accommodate this through community worship, some people through moments of quiet solitude in nature. Still others choose renewal through silent meditation and prayer. No matter our choice of activity the important accomplishment lays in the renewal of our spirituality and our belief in mankind. Includes meditation clips for total beginners with Tonal healing qualities and visuals. Just watch and you will feel amazing afterward. Over the course of our life, our senses and our environment come together to enrich our mind, and to sometimes overwhelm our mind. Much of the knowledge we acquire comes to us through our senses. As children, we use the senses daily to absorb as much as possible. The mind is a voraciously hungry, empty den when we are young. As we age, we depend greatly upon our senses to inform us about the world around us; hot, cold, sweet, sour, bitter, loud, soft, so many of our perceptions and actions begin with input from our five senses. There is another sense that isn’t given much attention, thanks to the fact that it is centered within our body, not on the outside. But, if used properly, provides us with as much valuable information as the sense of smell, taste, touch, sight, and hearing. Our intuition is our sixth sense. It refers to the ability to tune into the unseen world of sensing. All the other senses require a physical origin of input; our intuition does not. It requires not physical presence of an object in order for us to obtain information about the object. Thanks to the fact that we live in a materialistic world, and that most of our knowledge is dominated by the western traditions and beliefs, our ability to use our intuition is a lost art. The eastern cultures have long used the sense of intuition and the flow of the body’s natural energies to utilize the intuitive information available. The western civilizations are slow to realize the role our intuition can play in our overall health, just because it is not a “seen” source of input. Often, our mind can seemingly play tricks on our sensory perceptions, when we fail to utilize all aspects of the six senses, we often miss some piece of the puzzle, and what seems to be complete and correct, if often lacking. There are at times physical conditions that cause our senses to operate incorrectly, and we don’t process the information correctly. This happens when we are functioning at less than optimum levels. Often this occurs during times of sickness, extreme fatigue, or due to a lack of sleep. It is at this point, that we believe our mind to play tricks on us. We believe we are receiving certain input, and in all actuality, we are not. This is why keeping our bodies well, fit, and healthy keeps us in a reception mode to accurately process input from the outside world. It is through this accurate perception of intake that we are able to deal effectively with the world around us. All this culminates to come to this statement: in order to keep ourselves healthy and well, we must be able to accurately process input from the world around us. It is when we lose perspective, and don’t accurately “see” things as they really are that we are more likely to experience feelings of ill-health, mental unrest, and this can lead to actually becoming ill. Our overall wellness depends upon our ability to not only cope with our selves, but to perceive reality as it really is. Hopefully, at the end of this report, you’ve gained some knowledge about the world of health, wellness, and fitness. Also, we hope you will put into practice some of the suggestions made here, in order to improve upon your life. There are many reasons to simply read and ignore the information contained in all the individual articles, but there’s one especially important reason to read, review, and put into practice everything we’ve talked about, for happiness, health and wellness: you. But what is our responsibility in the nutrition game? Do we understand what our nutritional requirements are, how to fulfill those requirements, and how to look for real nutritional value in our foods? I’m not sure that nutrition has been successfully addressed in its own right. We hear nutrition in relation to our vitamin intake, our fortified cereals and milk, and in the context that we need “nutritional value” from our food choices. But what really is nutrition when applied to our daily bodily functions? Today, we must determine how much nourishment we need, how much physical exercise we need, and how best to accomplish those ends. Calorie needs, nutritional needs, physical needs, and education about those needs now is information we should all understand, at least as it applies to our individual self. If you will visit your local doctor, library, or fitness center, there is massive amounts of information available to help educate and to help you make good health choices, no matter what the age group. Quite often, our vitamin and mineral needs outweigh our caloric needs. In those instances, we turn to manufactured vitamins and minerals to fill the gap. This is a part of our nutritional needs, also. Nutrition is one of the most complex areas to gain useful knowledge about, because there are so many components, and because each person has their own individual needs. Women needs differ from those of men, and older women’s needs differ from those of a young girl. As we age, our needs constantly change; therefore continual education about nutrition is a fact of life. The nutritional needs of a cardiac patient are different than those of a healthy, middle-aged hiker. Can you see the complexity of the situation now? What we really need is to develop a scale that determines the nutritional needs of our bodies on a cellular level, so that as we age, as our physical condition changes, or our health changes, we can recalculate our needs, based on cellular changes and content in our body. Individuality is the key to understanding each person’s nutritional needs, and then working to educate ourselves is the key to fulfilling those nutritional needs. Good nutrition should be the ultimate goal of every person alive. 	Essential Fatty Acids – Essential fatty acids are important for our entire body to work properly. They nourish the brain and may help reduce symptoms of depression. You can get essential fatty acids by eating more fatty fishes and flax seed or by taking a Omega 3 supplement. Some healthcare providers recommend as much as 5,000 I.U. or more for patients with severe depression. Be sure you check in with your doctor. Most over-the-counter supplements contain only 1,000 I.U. per serving. We wish you well in your search for solutions to this Mind Body and Spirit balance and your movement towards better health in all areas. If traditional medical treatments are not helping your recover from or prevent illness or pain, you may wish to consider an alternative from of treatment to take the place of traditional options or to use in conjunction. These alternative therapies are now being widely studied, as many people are having miraculous results with them. However, within the alternative medical world, there are a number of choices for treatment. Choosing a medical treatment plan can be difficult, so research the many options carefully before choosing any kind of alternative therapy treatment. Barriers To Motivation - Are You Sabotaging Your Own Weight Loss Success? Failure to Lose Weight - Are These the Reasons You Lack Motivation? SITE DISCLAIMER: Do these products “cure” anything? Of course not… but it stands to reason that if you cleanse your body and feed it the finest nutrition available, giving it everything it needs in balance, on a daily basis, that your body will do what nature intended, and give you the best possible chance to fend off sickness and disease. This Mind Body Spirit balance and Interconnectivity your health online information is not presented by a medical practitioner and is for educational and informational purposes only. The content is not intended to be a substitute for professional medical advice, diagnosis, or treatment. Always seek the advice of your physician or other qualified health provider with any Mind Body Spirit balance and Interconnectivity questions you may have regarding a medical condition. Never disregard professional medical advice or delay in seeking it because of something you have read. Any natural and/or dietary supplements that are not FDA approved or evaluated must be accompanied by a two-part disclaimer on the product label: that the statement has not been evaluated by FDA and that the product is not intended to "diagnose, treat, cure or prevent any disease”. The Mind Body Spirit balance and Interconnectivity resources on this your health online site are not intended to be a substitute for professional advice. While all attempts have been made to verify information provided in this publication, neither the author nor the publisher assumes any responsibility for errors, omissions or contrary interpretation of the web site Mind Body Spirit balance and Interconnectivity subject matter herein. The what is Mind Body Spirit balance and Interconnectivity your health online site Mind Body Spirit balance and Interconnectivity contents are solely the opinion of the authors and should not be considered as a form of advice, direction and/or recommendation of any kind. If expert advice or counseling is needed, services of a competent professional should be sought. 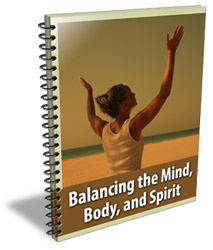 The what is Mind Body Spirit balance and Interconnectivity author and the Publisher assume no responsibility or liability and specifically disclaim any warranty, express or implied for any products or services mentioned, or any techniques or Mind Body Spirit balance and Interconnectivity practices described.